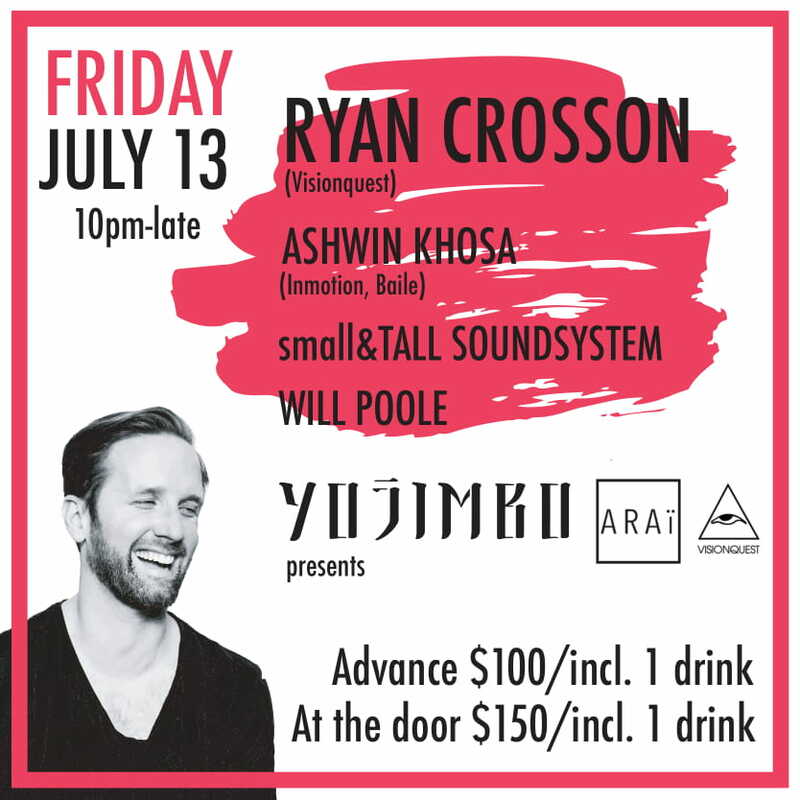 Friday, 13th July we welcome Ryan Crosson (co-founder of Visionquest for an exclusive night at Yojimbo! Born and raised on a steady diet of post-apocalyptic landscapes, dark warehouses, and the sounds of Plastikman, Matthew Dear, Magda, and Villalobos, Ryan’s DJ sets expand the horizon of possibility without sacrificing dance music’s core element of sweaty, hedonistic fun. His unique musical vocabulary and tireless dedication ensure him a place in the dynasty of forward-thinking techno transplants. Alongside Lee Curtiss and Shaun Reeves, Ryan is responsible for running Visionquest Records, one of dance music’s most cherished and eclectic imprints. Ryan and his partners in Visionquest have honed a whole new landscape of lush, organic techno and esoteric leftfield electronica. 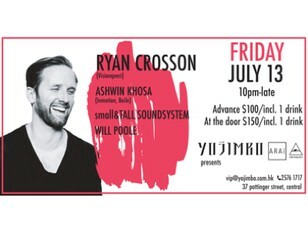 Ryan crisscrosses the world both as a solo act and as part of the Visionquest trio. He’s played at the world’s best clubs across six continents. Starting with the Visionquest DC 10 takeovers in 2012, his long-standing love affair with Ibiza grows ever stronger, with regular appearances at Marco Carola’s Music: On, CircoLoco at DC10 and Luciano’s Vagabundos events. Expect a night of dance/ tech house/ disco and more!